People never agree on films. That’s one of the greatest attributes of the cinema. We’ve all participated in heated debates defending or damning a certain picture. It’s something that all cinephiles treasure. We hold our favorites close to our hearts and protect them like our children from naysayers. Sometimes, we have a lot of ammunition for our defense, such as awards, critical favor, and an endearing legacy. Other times, it’s an uphill climb from the start. This is one of the those instances. Why? Well, I’m about to defend one of the most derided films of all time. Heaven’s Gate is the great blockbuster failure, the textbook example of what happens when you let an overly ambitious director run amuck. It was lambasted by critics, ignored by audiences, and used as a scapegoat for everything that was wrong with the auteur driven 1970’s. As time went by, its reputation grew to outrageous proportions to the point that future generations passed it by because it ‘supposed’ to be bad. I never believed that. I was curious about Heaven’s Gate from the moment I heard about it. I found a DVD copy of it about fifteen years ago and immediately fell under the spell of Michael Cimino’s film. It was rapturous, filled with stunning sequence after stunning sequence. Though it ran almost four hours, it sustained a mood that never let me go. Ever since then I’ve held the torch for Heaven’s Gate. It is one of my favorite films. I’ve never been able to understand why there is such vehement hatred for such a beautiful film. So, that being said, here are the five reasons why I believe that Heaven’s Gate is an unjustly maligned masterpiece. Before I can talk about why Heaven’s Gate is a masterpiece, I need to talk a little about why it isn’t. The film was a critical and commercial bomb whose reputation become larger than the film itself. Yet, the film had all the elements of a masterpiece. The question is why was it so hated? Much of the blame can be placed upon the shoulders of journalists. Vincent Canby of the New York Times called it “an unqualified disaster,” and likened it to “being forced to take a four-hour walking tour of one’s own living room.” Variety said the film “failed to work on every level,” and Roger Ebert called it one of the ugliest films he had ever seen. Why were these reviews so barbed, so poisonous? To get a straight answer, you have to look at the buzz that surrounded the production of the film. Early reports focused on the extreme attention to detail and snail-like pace of the film’s director, while others painted a portrait of chaos that had no basis in fact. In the wake of the great auteur failures (At Long Last Love, Sorcerer, 1941, New York, New York), it was perfect fodder for journalistic needling. One journalist took it upon himself to personally expose the disasters befalling the picture. Spurned by Cimino’s “no media” rules, Les Gapay got himself hired as an extra on the film and then wrote a damning expose on Cimino’s megalomaniacal tendencies. Gapay wrote about countless injuries endured by extras and animals, as well as his own personally skewed vision of Cimino, whom he saw as a thoughtless spender who did not really know what he was after. Gapay’s article was the most damning portrayal yet, and it set in motion that title wave of critical lambasting that was to come. So, was Heaven’s Gate ruined by bad press? The easy answer is yes. 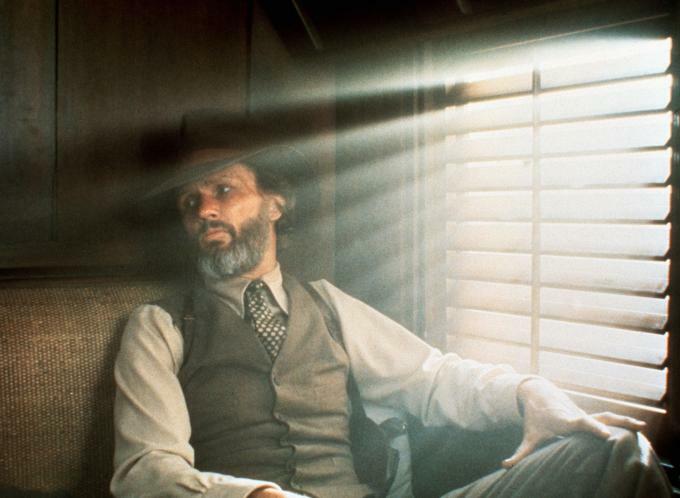 Most critics could not wait to hate Heaven’s Gate. But that is not the whole truth. The entire industry was steering away from director driven films. It just so happens that the overblown ambition of Cimino’s film served as the perfect scapegoat for the industry. Michael Cimino’s scope for Heaven’s Gate was awe inspiring. Hate the film all you want, but you cannot deny that the man’s vision was unparalleled. His attempt to bring the Johnson County War to life took all the ambition he had, and it basically left him shell of his former self. Cimino wanted to give his characters an immense sense of history, so that they were not strangers when the main action occurs, so he opened the film with a prologue from their college graduation twenty years previous. It is a long, drawn out sequence filled with oratory and dancing. It may put off many viewers, but it does tend to carry more weight as the movie gets going and the state of the relationship between Jim Avril (Kris Kristofferson) and Billy Irvine (John Hurt) crumbles. He also wanted the events of the film and the prologue to have more weight, so he carried the action a decade into the future, showing Avril with his old college girlfriend on a yacht off the coast of Rhode Island, seemingly rich but not necessarily happy. In between, Cimino attempted to out ‘epic’ every epic that had come before. His widescreen vistas were filled from end to end. Nothing seems out of place or off the cuff. No location was too far or too out of the way to film in. When finding a perfect spot to set the climactic battle sequence, Cimino was not satisfied until he stumbled upon a location some three hours away from their home base. Perhaps ridiculous, but yet another example of his peerless drive towards perfection. The great roller-skate dance sequence is another great example of his scope. What could have been a simple sequence showing the love between the two main leads while interacting with the towns folk and their incredible band (whose fiddle player steals every scene he is in), turns into one of the central sequences, a real tour-de-force in gaiety. The cast and crew were given six months of lessons on period correct roller skates in order to film the one sequence – yet another example of perfection getting in the way of reasonable costs. Much of the drive behind Cimino’s ambition was his standing with both Hollywood and his studio, United Artists. The new, young figure heads of the studio were eager to have their landmark picture. Though they inherited a number of now classic films (such as Manhattan and Raging Bull), the new executives wanted to find one for themselves, one which they could slather their own personal stamp all over. It just so happened that Hollywood was agog over a former screenwriter turned director named Michael Cimino, who had just made the best Vietnam film to date – The Deer Hunter. Cimino also happened to be one of the most ambitious young minds around. United Artists loved that about him and gave him total creative control. The only caveat was that he was to make the best film ever made. Because of this, there was never a moment during the making of that film where CImino did not believe he was making the Gone With The Wind of his generation. One of the most popular things to lambast Heaven’s Gate with were its performances. Kris Kristofferson, Christopher Walken, Sam Waterston, and John Hurt have all been cited as having given sub-par performances. 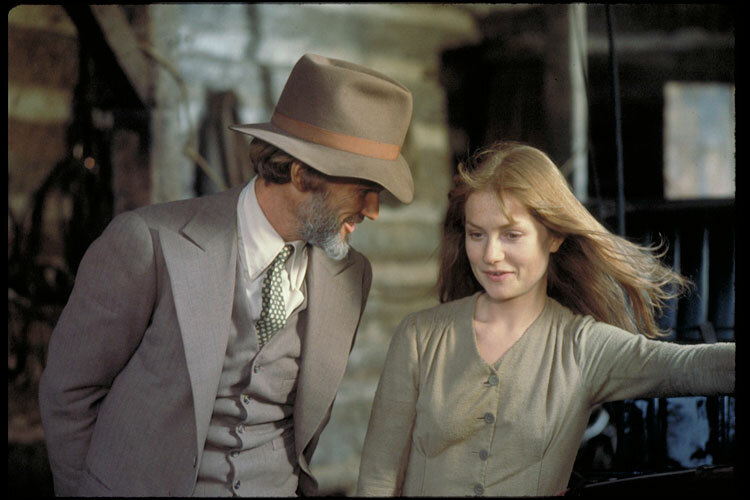 Isabelle Huppert was especially damned for her performance as a frontier madam. The New York Times went so far as to say she was “completely unbelievable.” But, as we’ve seen before, there was a certain critical satisfaction in burning a film that was so concerned with pomposity. The case for Huppert is clearly obvious, especially in the wake of her more recent success. Audiences in the states just weren’t acclimated to her. At the time, she was a virtually unknown French actress with a heavy accent. Though she was beautiful, and clearly not averse to taking challenging roles, critics found her casting to be the final straw. But they missed the point completely. First of all, she is playing a European. The whole film is about immigrants infringing on American land. Her role as the love interest to the two main stars helps bring a certain amount of ambiguity to the motivations, especially those of Christopher Walken. His character is the hired muscle of the cattle barrens, tasked with eradicating the European influence in Johnson County, yet his love interest is European. With Kristofferson, it only strengthens his resolve to fight the cattle barrens. By the end, you find that Huppert is actually one of the best performers in the film, and her character one of the deepest, clearly paving the way for her future success. Another performer rarely mentioned in the conversations of Heaven’s Gate is Jeff Bridges, who plays the local entrepreneur and builder of the new roller rink which becomes a central location in the film (and one of its greatest sets). Though he is not given as much screen time as Kristofferson and Walken, his quiet and knowledgable performance is truly winning. He is essentially Kristofferson’s right hand, but more than that he is his voice of reason. Bridges is especially compelling during the final battle, where he helps lead the citizen army. As for the leads, I don’t think there is anything you can discredit about their work. Kristofferson is in top form and Walken is every bit as haunted as he was in the The Deer Hunter. Sam Waterston is deliciously conniving and spineless, while John Hurt knowingly plays the baffoon who would rather drink than deal with his inner conflict. Another reason for Heaven’s Gate’s infamy is its overwhelming attention to detail. This is perhaps the most beguiling reason to hate the film. Sure, Cimino spent a hell of a lot of money to recreate the old west as accurately as possible, but all that money is on the screen. Not a single penny of it was wasted. He spent it all so you could see western American history come to life like never before. 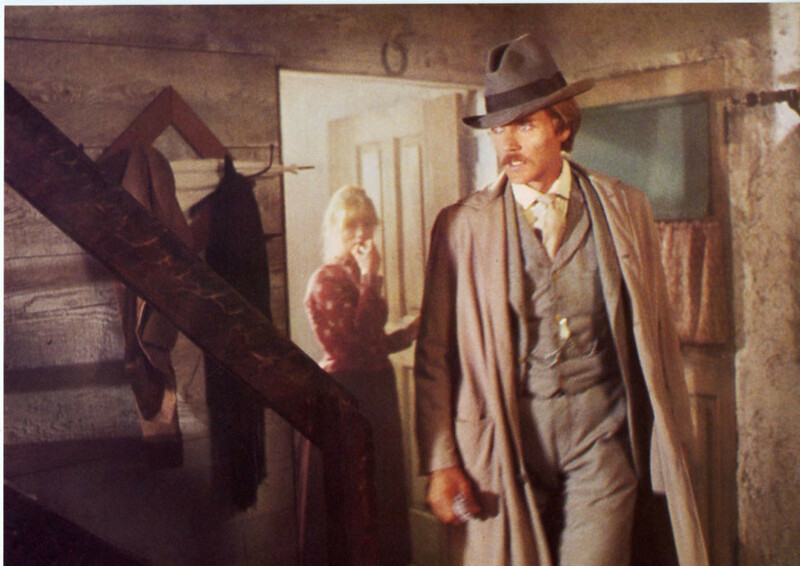 There are three main set pieces that show Cimino’s extreme detail. Take, for example, the titular “Heaven’s Gate” roller rink. Cimino had it built from scratch, and then plastered its walls with vintage advertisements, stuffed it full of antiques, and then filled it with townspeople clad head to toe in period garb. Thus, everywhere the camera turned would be a glimpse into the past. It was truly immersive history and it allowed the actors to go back in time and feel what it was like to be dancing in a roller rink in the 1890’s. The second, and most grand, set piece is the recreation of Casper, Wyoming. Camino spared no expense in making the sequences he shot there look as authentic as possible. Just marvel at the grand reveal scene, when the camera pans back to show the audience the full scope the booming town, all shrouded with smoke and dust. There were not many scenes shot there, but the scope of the set could have handled a multitude of films by itself. The last set piece is the great battle scene. Lasting almost an hour in the directors cut, the final battle between the immigrant townsfolk and the gang formed by the cattle barrens is as dramatic and engaging as any filmed before or since. Much of it was improvised, with the actors riding full speed around the encamped gang, firing off blanks. There is a full tilt chaos to the scene that could only be captured by the purest realism. Cimino has long been derided for having spent so much money and time achieving these details, but there is no denying that they enhance the film in a way that few films ever have. Cimino was once asked in an interview what it means to be obsessed with detail. His answer, as simple as it is, shows that in reality, he was in search of nothing more than integrity. Vilmos Zsigmond is one of a handful of cinematographers from the 1960’s and 1970’s to reach world wide notoriety. His brilliant work in the films Deliverance, McCabe and Mrs. Miller, Scarecrow, Close Encounters of the Third Kind, and The Deer Hunter helped him become regarded as one of the foremost geniuses behind the camera. Though all of the film mentioned above have truly stunning photography, none of them hold a candle to the scenes filmed for Heaven’s Gate. 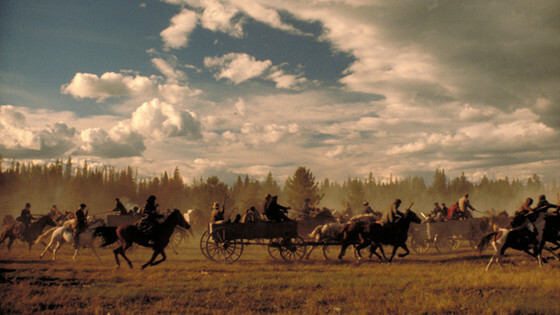 Zsigmond used the same color pallet as McCabe and Scarecrow, though he widened it and allowed the great blue skies of Montana (where the move was filmed) to cover his grand vistas. Most of the great sequences are master shots – Long, contemplative shots like those of Leone or Ford, showing the landscape in all its glory. Take, for example, the scene that comes after Nate Champion (Walken) has murdered an immigrant settler whom he caught with a murdered steer. He rides across a great plain and stumbles upon a mass migration of new immigrants headed for the grazing lands he is being paid to protect. It is a gorgeous sequence that, it’s been reported, took days to film because Cimino was waiting for the right sky with the right light. He was truly painting with the camera…and costing United Artists more and more money. It is true that the photographic excellence that places the movie apart is one of the main reasons why it cost so much and took so long to film. It is both a blessing and a curse. But, with the benefit of hindsight and twenty-six years, we can view the cinematography on its own accord and marvel at the sheer beauty. There are few films that reach these deep levels of cinematographic beauty. My personal favorite shot is the aforementioned reveal of Casper, Wyoming. It’s legendary, awe inspiring. It must make photographers weep at their own inadequacies. The only thing I can compare it to is the shot when Scarlet O’Hara stumbles upon the masses of wounded men by the train tracks in Gone With The Wind. There is no denying that every last second of Heaven’s Gate’s 220 minute run time is gorgeous. It should be studied for years to come. The only reason it is not is because of its reputation as an unmitigated disaster. The funny thing is, there have been many gigantic failures since this Heaven’s Gate. Think about how much money Disney lost on The Lone Ranger (Somewhere near $100 million dollars) and compare it to Heaven’s Gate’s (a little over $40 million) and you’ll find that most studios nowadays adjust for these kinds of big bombs. Hell, Disney has had several of them and still seem to be the biggest studio in the world (John Carter anyone?). Did they learn this from Cimino’s failure? It’s entirely possible. So, why aren’t we talking about this film more? Michael Cimino’s grand epic must continue to be reconsidered and rediscovered. The Criterion Collection recently released a definitive high definition transfer of the director’s cut on Blu-Ray, and subsequently the film has begun to be reevaluated by critics and movie goers. Most initial reactions show that the film is way better then it has ever been given credit for. If you’ve always avoided this film, or just simply never heard of it, block out an afternoon and watch it. If you like epics, westerns, Americana, great filmmaking, acting, and the sheer art of cinema, you will enjoy this film. Author Bio: David Brimer is a professional musician and writer from Florida. He has toured the world with artists as diverse as Jackson Browne and Hanson, and has published a few short stories in small literary magazines. He is a self-professed cinephile who loves pure cinema.